International Bulk Wine & Spirits Show in London (IBWSS London) is an annual trade show and conference, open to trade professionals only, which takes place in London, UK on 11-12 March 2019. IBWSS London aims to give the bulk trade and private label business a truly dynamic trading platform where buyers can confidently conduct business with the world's most reputable suppliers. No show offers a greater opportunity to meet national chain buyers of UK and develop strategic partnerships via bulk contracts and private label programs. Wineries, distilleries, and breweries interested to offer private label, contract manufacturing, and bulk wines & spirits are encouraged to EXHIBIT. Supermarkets, retailers, restaurants, wineries, distilleries and other buyers who are looking to source bulk wine and spirits and find private label manufacturers are encouraged to attend the show. The bulk wine market is now an incredibly important part of the overall UK wine market, and having a chance for participants to interact with new bulk wine suppliers and manufacturers during the two-day business conference is a key reason why IBWSS London was such a success. 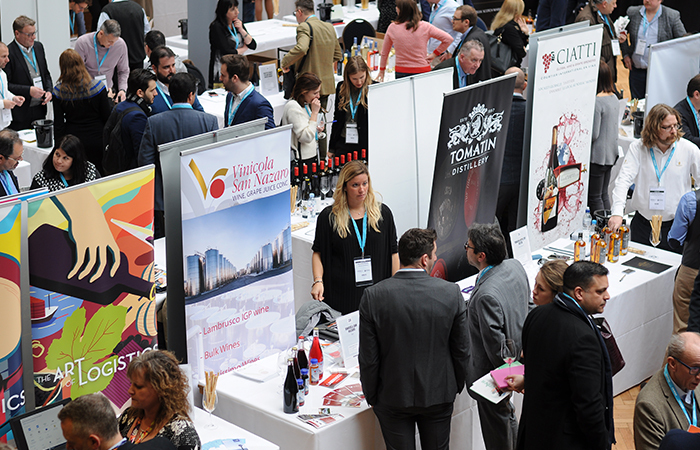 For exhibitors, one key reason to register for the IBWSS London 2019 event is to get access to top industry participants looking to expand or diversify their private label and bulk wine programs. Participants that you will be meeting on the showroom floor are looking for ways to optimize an already-existing business model, as well as how to create a new business model and strategy from scratch. They are searching for answers on how to maintain the quality of their bulk supply program and how to deal with regulatory issues when they arise. You can be the solution to all of these problems, and more. So book your exhibitor table today before the registration closes on 31st January 2019! By participating at this high-profile event in London in March 2019, you will walk away with the connections and relationships needed to become profitable in the competitive UK bulk wine marketplace for years to come. ﻿﻿All stand assignments are based on the first-come, first-served basis in order of receipt of application with payment, product assignments and availability of space. The official show catalog contains a complete listing of all exhibitors, including company name, address, telephone, fax, email and website information as well as product lines and exhibitor contacts.